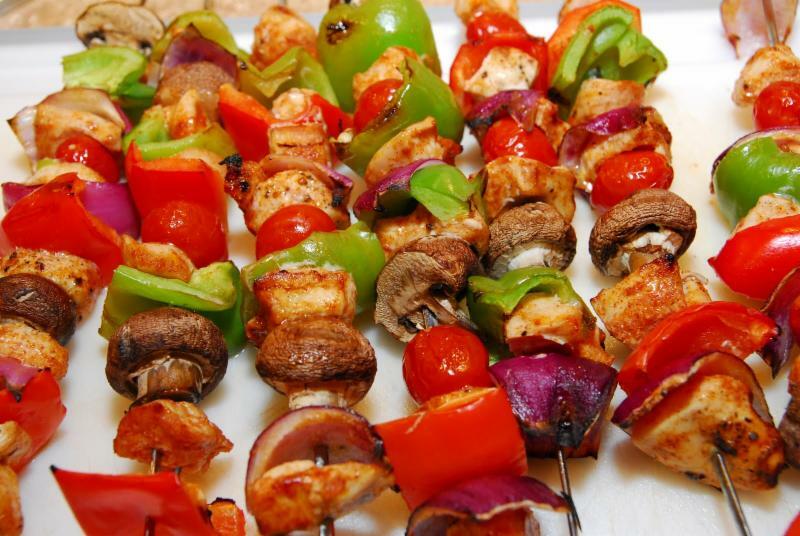 Assemble your skewer sticks to your liking alternating veggies and chicken. Sprinkle Greek spice mix over top, flip and sprinkle again to be sure all sides are flavored. cover and let sit for at least an hour in the refrigerator. BBQ on med low constantly turning and pouring any olive oil and spice mix left on marinating dish for extra flavor. Goes great with Greek Taziki sauce!